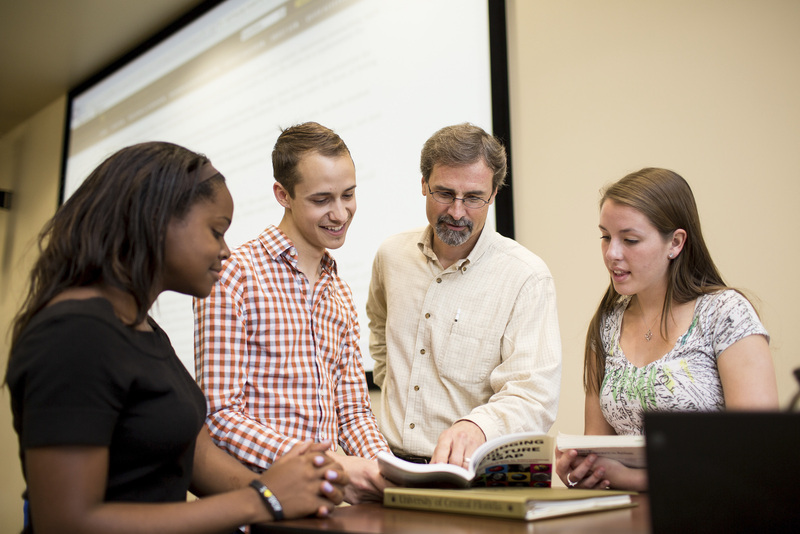 The Burnett Honors College offers sections of many lower-division courses typically taken to fulfill the requirements of the General Education Program, which every UCF student must do. This allows students to work their way through the GEP while also completing their Honors lower-division requirements. Note: All Honors students without incoming credit for English Composition I and II (ENC 1101H and ENC 1102H) are required to take these courses in Honors sections. We want you to develop exceptional writing skills and believe we can help you do so in this way. The Burnett Honors College offers Honors sections of many upper-division courses required by a variety of majors each semester. Honors upper-division requirements vary by major. To review upper-division requirements for your specific major, please click here. In consultation with an Honors advisor, these courses may be used to fulfill lower-division course requirements for students entering college with much of their GEP credit already earned. Each semester, The Burnett Honors College offers students the opportunity to select among several interdisciplinary seminars that represent cutting-edge topics taught by UCF's most outstanding faculty. These 3-credit hour classes are often taught simultaneously by two faculty from different disciplines. Students experience the excitement of learning through different modes of thought as well as lively discussion and debate. Interdisciplinary seminars are designed to be available for all majors at the upper-division level. To see current offerings, please consult both this list and the Class Schedule frequently, as additions and corrections to meeting days and times may occur. Click on the term to view all interdisciplinary seminars available. The integration of Indian culture, philosophy, and art. This course is designed to provide students with an introductory overview of sport business analytics concepts. Students in this course will learn about how organizations in the sport business industry utilize data and apply analytics to make more informed strategic business decisions that create a sustainable competitive advantage. Course topics will be presented and analyzed via a series of current issue case studies and collaborative workshops facilitated by the instructor of this course along with sport business industry leaders. Students will also have an opportunity to work on a variety of practical application projects throughout the semester on topics such as dynamic and variable ticket pricing, corporate sponsorship valuation, customer relationship management, fan engagement, retention of season ticket holders, and social media and digital marketing analytics. Analysis of patient behavior, health practitioners, the social organization of health services, and delivery of health care. Application of theatrical storytelling as an art form. Case Studies In Ethics is an interdisciplinary, case study approach to practical, contemporary ethical issues in a variety of contexts. For example, ethical problems and dilemmas in education, engineering, law, medicine, personal relationships, and politics, among others, are included and serve as a basis for students to conduct significant research on the cases. Among the requirements for the course are position papers applying creative and critical thinking skills and ethical concepts to the cases and in-class debates/ethics bowl practice. Students will participate in the on-campus UCF Ethics Bowl competition, and selected students may participate in the Southeast Regional Ethics Bowl on the UCF team. It is possible that participation in the regional ethics bowl will lead to an invitation to the national competition. If you are interested in this seminar, please contact Dr. Madi Dogariu at madi.dogariu@ucf.edu or Dr. Michael Strawser at michael.strawser@ucf.edu. Contemporary thinking on ethical issues arising from the biological sciences, including human and animal experiments, genetic engineering, and biodiversity. This course will help students gain an interdisciplinary awareness of contemporary human trafficking, also known as slavery and forced servitude. It will offer definitions of human trafficking; explore the various types of forced servitude that are prevalent today; and examine the global and domestic dimensions of the problem, including in Central Florida. Students will have the opportunity to meet and engage survivors and abolitionists; learn the methods of traffickers; conduct their own research; evaluate the roles of organizations from all sectors that are involved with human trafficking; and contemplate short-term and long-term solutions. This seminar studies the science of strategic decision-making in which one's own optimal action depends on the actions and beliefs of others. Applications abound in the fields of biology, economics, marketing, law, politics, international relations, and war. By the end of the course students will be able to "solve" a game using game theoretic tools as well as formalize a strategic situation into a well-defined game and know which analytical tools should be employed to analyze it and predict outcomes. Main literary tendencies and authors of Italian literature, with Honors content. Legal rights and responsibilities of the mass media. The course is designed to prepare UCF Honors and Legal Studies students for the American Collegiate Moot Court Tournament. Students enrolled in the class will be given the opportunity to represent UCF and compete at UCF’s South Atlantic Regional Moot Court Tournament in November. This class counts as an Honors interdisciplinary seminar for all majors and will also satisfy the Capstone requirement for a Legal Studies major. If you are interested in this seminar, please contact Dr. Eric Merriam at eric.merriam@ucf.edu. Robert Southey once said, “It is with words as with sunbeams—the more they are condensed, the deeper they burn.” Learn how to write clearly, concisely, and vigorously to meet your audiences’ needs. Honors Professional Writing is a hands-on course that will introduce you to a variety of common workplace writing situations, including writing instructional documents of LEGO models. Discussion of the psychological perspectives on art to gain a greater understanding and enhanced appreciation for the process and products of creativity. A comparative study of the approaches toward medicine and healing in different religious traditions, both in the U.S. and the wider world. A comparison of the original form of the Olympic Games (and ancient notions of sport) to their modern counterparts. Environmental politics through the lens of "sustainability." Attention devoted to the relationships of culture, economics, and ecology. Emergence and development of modern terrorism and how changes in terrorism are in part a manifestation of the transformation of international order. Blog, tweet, and web code your way toward a deeper understanding of how digital environments function as rhetorical contexts. Learn strategies for critiquing, composing in, and improving digital writing genres and networks. This seminar describes cultural roots of modern tyrannical regimes and reveals how some enduring patterns of thought have made authoritarian rule attractive to humans. Includes questions concerning human values, legal and ethical questions arising in health care delivery policy issues and professional practice among licensed health care professionals. Theory and techniques of literary genres with honors level content; practice and critique of original writing by peers and critical reading of established authors. Examination of roles and how nations, groups, and individuals use cyber-attacks and cyber espionage against adversaries. Challenges of current and proposed policy. Participatory research with a focus on digital storytelling and participatory Geographic Information Systems (PGIS) as methodologies for community-based research. Prerequisite: POS 2041. Concepts, theories, and methods of contemporary diplomacy; diplomatic processes in the international arena. Humanity's symbiotic relationship with technology, society and environment and how our cyborg future will be directed. This interdisciplinary course focuses on the study of the Florida Everglades ecosystem restoration program from a planning, policy, and management perspective. Starting with Swampland Act of 1850, students will learn the history of the Central and South Florida Flood Control Project that transformed the Everglades landscape along with the development and evolution of the Comprehensive Everglades Restoration Program. This restoration program contains a complex intergovernmental network of stakeholders located at all levels of government and in each sector of society; collaborative governance and adaptive management will be discussed in depth. The development and evolution of the Comprehensive Everglades Restoration Program will remain a central focus. The course is comprised of lectures, guest speakers, and field study. This course focuses on the global literary and cinematic phenomenon of J. K. Rowling's Harry Potter novels, which we will explore and analyze through the lenses of literature, cinema, and children’s culture. By studying the Harry Potter novels, we will also practice critical thinking and communication skills. It is essential that you come to class having read the assigned texts carefully; you should note points of interest or perplexity and be ready to engage in discussion. Exploration of the effects of music on the brain functions including mood, emotion, pain, cognition, and memory using interdisciplinary approaches. Influence of media on campaigns, public officials, public opinion, the definition of political news, and selected public policies. An examination of the dynamics of Middle East politics, including both regional and international dimensions. Principles and practice of public relations, including techniques, research tools publicity, and management. 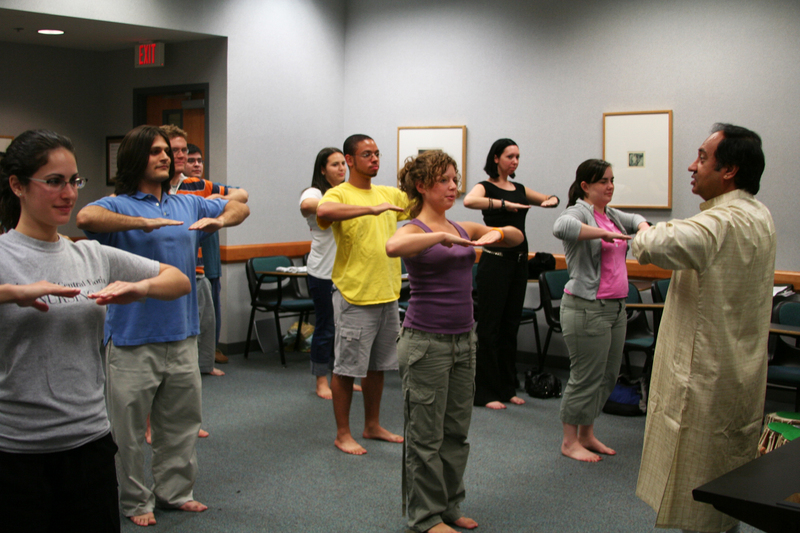 The study and practice of utilizing theatrical techniques to create positive social and interpersonal change. This course addresses the psychological effects of different forms or trauma within a dynamic global context. The course will challenge our understanding of the consequences of traumatic events and explore how trauma can have long term effects on individuals and communities and can help to perpetuate a cycle of violence. The course will use both theory and stories (film) to gain a broader knowledge of trauma and traumatic events and its potential impact. Students will need to engage with topics that may not be comfortable for them (such as sexual trauma, torture, and genocide) and recognize that these traumatic experiences influence us all in some way. Explores impact of video games on culture and society through the lens of game literacies, or methods of communicating using gaming conventions. Many of the world’s religious traditions and leading philosophers have perceived creativity as a defining characteristic of what makes us human — a characteristic that fundamentally distinguishes us from other sentient species. But what does it mean? Can creativity be taught and learned? If so, what are the most effective means for doing so? Discussions will include research and theorizing on creativity, its manifestations in important texts across time, and its implications for students’ personal and intellectual development. We will also consider notions of creativity as they relate to the liberal arts and sciences, across disciplines. Please note that this course was previously 1 credit hour but has since been changed to 3 credit hours. Interdisciplinary, feminist perspectives on women and leadership, examining issues such as gender differences in leadership styles, obstacles facing women leaders, and learning from women leaders. This class examines "subversive" American comedies. Exploration of the cultural, historical, and aesthetic context in which literary works and their film counterparts inform each other. This course will help students gain an interdisciplinary awareness of contemporary human trafficking, also known as slavery and forced servitude. It will offer definitions of human trafficking; explore the various types of forced servitude that are prevalent today; and examine the global and domestic dimensions of the problem, including in Central Florida. Students will have the opportunity to meet and engage survivors and abolitionists; learn the methods of traffickers; conduct their own research; evaluate the roles of organizations from all sectors that are involved with human trafficking and contemplate short-term and long-term solutions. If you attempt to register for this course and receive a prerequisite error message, please contact Rex Roberts at rex.roberts@ucf.edu for assistance enrolling in the class. This course provides a comprehensive understanding of intellectual property law and practice based on four areas: trademark, copyright, patent and trade secrets. Includes Honors content. This is an awesome and helpful class for aspiring lawyers and inventors. This seminar studies the science of strategic decision-making in which one's own optimal action depends on the actions and beliefs of others. Applications abound in the fields of biology, economics, marketing, law, politics, international relations, and war. By the end of the course, students will be able to "solve" a game using game theoretic tools as well as formalize a strategic situation into a well-defined game and know which analytical tools should be employed to analyze it and predict outcomes. Analysis of patient behavior, health practitioners, the social organization of health services, and delivery of healthcare. The course is designed to prepare UCF Honors and Legal Studies students for the American Collegiate Moot Court Tournament. Students enrolled in the class will be given the opportunity to represent UCF and compete at UCF’s South Atlantic Regional Moot Court Tournament in November. This class counts as an Honors interdisciplinary seminar for all majors and will also satisfy the Capstone requirement for a Legal Studies major. If you are interested in this seminar, please contact Dr. Jason Fiesta at jason.fiesta@ucf.edu. Examines the mixture of superstition, paganism, heresies, Jewish and Muslim communities and the rising Catholic Church that shaped religious life, society and culture in Medieval Europe. Paper or plastic? Today’s consumers routinely encounter this question at the check-out stand. The answer to a seemingly easy question, in reality, depends on the metrics and methods used to assess the choice of bag. For instance, paper bag production – even bags made of post-consumer waste – has significant impacts on natural resources, and plastic bag production depletes fossil fuels. Extending this example to relevant case studies, this course will introduce students to the principles of sustainability in industrialized systems; the use of systems analysis and life-cycle assessment in design of industrial systems; the development of sustainability metrics and indicators; and the fundamentals of natural ecosystems as models for the design and operations of industrial systems. Honors Why Are People Fooled? Why are people fooled? The course intends to investigate this enduring question as it relates to three areas of inquiry: the human capacity for being fooled, the ability of con artists and propagandists to fool people, and the ways in which people might avoid being fooled. Diversity, social issues, social responsiveness, and financial performance in professional, collegiate, and Olympic sport. This course will focus on the intersection of diversity, sport, and technology. This course focuses on the global literary and cinematic phenomenon of J. K. Rowling's Harry Potter novels, which we will explore and analyze through the lenses of literature, cinema, and children’s culture. By studying the Harry Potter novels, we will also practice critical thinking and communication skills. It is essential that you come to class having read the assigned texts carefully; you should note points of interest or perplexity, and be ready to engage in discussion. This seminar examines and analyzes legal questions through the lens of social science and empirical study. Learn about the law and the courts by conducting a study that empirically examines whether judges are complying with defendants’ rights to due process and counsel. PR: EGM 3601 and EML 3701. This course will expose students to topics which explore natural design as it relates to engineering, including locomotion, morphology, and corresponding limitations in natural systems. The course will survey various strategies for locomotion, their constraints, and how strategies change with animal size as well as examine the mechanics of walking, running, jumping, swimming, and structure. Note: This course will count as both an Honors interdisciplinary seminar and a technical elective for Mechanical Engineering and Aerospace Engineering majors. Other Engineering majors should check with their respective department to determine elective eligibility. An investigation of science fiction as a literary form, together with selected readings. Theatre activist's impact on theatrical art forms. How terrorism is a communication process. How mass media, symbols, linguistic devices, e-terrorism, and theoretical dimensions play a role in terrorism. How communities respond to terrorist attacks. This course addresses the psychological effects of different forms or trauma within a dynamic global context. The course will challenge our understanding of the consequences of traumatic events and explore how trauma can have long-term effects on individuals and communities and can help to perpetuate a cycle of violence. The course will use both theory and stories (film) to gain a broader knowledge of trauma and traumatic events and its potential impact. Students will need to engage with topics that may not be comfortable for them (such as sexual trauma, torture, and genocide) and recognize that these traumatic experiences influence us all in some way. Interdisciplinary study of issues, perspectives, and scholarship by and about women of color. Students in this course will learn about how organizations in the sport business industry utilize data and apply analytics to make more informed, strategic business decisions that create a sustainable competitive advantage. Course topics will be presented and analyzed via a series of current issue case studies and collaborative workshops facilitated by the instructor of this course along with sport business industry leaders. Students will also have an opportunity to work on a variety of practical application projects throughout the semester on topics such as dynamic and variable ticket pricing, corporate sponsorship valuation, customer relationship management, retention of season ticket holders and digital/social media analytics. Advanced study and practice in the preparation and delivery of argumentative speeches emphasizing argument, evidence, and organization. PR: SPC 1608 or SPC 1603C or COM 1000. Creativity is explored historically, psychologically, spiritually, and artistically through educational theory. Thinking and problem solving creatively applied to all professions. Geography of Latin America and the Caribbean, including geophysical, cultural, economic, and social characteristics and processes. The development of Islamic thought and culture, concentrating on religion, jurisprudence, philosophy, science and art with special focus on perception of Islam in Western literature and scholarship. This course joins together the fields of music, drama, and literature. In a time when 'globalization' actively shapes our world, this course offers tools for analyzing diverse cultural expressions. The central focus is Italian opera, literature, and film of the nineteenth and twentieth centuries as they inform our understanding of Italian culture. We will watch and listen to opera as well as read Italian novels and poems on the same subjects. Comparing opera to other artistic genres, including film, illuminates the modernity and universality of the messages it carries. We will also analyze how words, music, and image create cultural meaning. Group presentations and brief response papers will guide students to develop skills necessary for the final research paper. The course is designed to prepare UCF Honors and Legal Studies students for the American Collegiate Moot Court Tournament. Students enrolled in the class will be given the opportunity to represent UCF and compete at UCF’s South Atlantic Regional Moot Court Tournament in November. This class counts as an Honors interdisciplinary seminar for all majors and will also satisfy the Capstone requirement for a Legal Studies major. If you are interested in this seminar, please contact Mr. Rupert Neish at rupert.neish@ucf.edu. A historical, sociopolitical, cultural, aesthetic and thematic examination of the superhero mythos, this course will explore popular and obscure superheroes as they appear in several art forms. The objective of this course is to view water as it has affected and currently affects the sustainability and quality of life for both ancient and modern societies. Water, and the means of conveying and treating it, has been a critical aspect of sustaining human societies since the advent of settled agriculture and urban centers. The role of water use practices and basic sanitation in transmitting disease or in sustaining disease vectors (mosquitoes, rats) will be viewed throughout history. The course will give students a sweeping overview of waters role throughout history and in the world today, as well as the possible role it could play in the future with global climate change and a burgeoning population potentially causing severe water shortages or water-based conflicts in some regions. This course promotes a better understanding of Chinese culture through the dual lenses of history and fashion/theatrical costume changes over the centuries. It will examine how historical events have influenced life practices and social customs as well as how fashion as a cultural expressive form has responded to and underscored those historical changes. Students will gain an in-depth understanding of Chinese civilization and acquire a more nuanced understanding of Chinese fashion/theatrical costume cultures. INR 4030H, Class Number: 17293 | TR 4:30–5:45 PM, CB1 218 | PR: POS 2041. Concepts, theories, and methods of contemporary diplomacy; diplomatic processes in the international arena. Historical analysis of Hip Hop from its African roots to the present with emphasis on the socio-political implications of this phenomenon. Analysis and understanding of fairy tales as a powerful narrative tool within European societal construction. Films that highlight different aspects of the law as an institution or as a profession are examined. In this class, we'll watch about a dozen monster movies, plus clips from several others, featuring such classic creatures as zombies, vampires, and Frankenstein's monster. We'll explore what these monsters mean on the surface, as well as how they function as metaphors in psychological and sociological contexts. We will also examine how these films convey their deeper meanings cinematically and what these films represent in film history. Among the movies we'll be watching are Night of the Living Dead, Shaun of the Dead, World War Z, Dracula, Frankenstein, Jaws, The Birds, Alien, The Exorcist and X-Men: First Class. COM 4416H, Class Number: 19835 | TR 1:30-2:45 PM, NSC 143D | PR: SPC 1603C or SPC 1608C or COM 1000. Theatre For Social Change uses theatrical techniques to create positive social and interpersonal change. It can be used as a teaching tool, a vehicle for self-study, a problem-solving technique for groups of any size, and for community building. As catalysts for positive human growth, we will apply the theatrical techniques of Augusto Boal's Forum Theatre, Image Theatre, and Rainbow of Desire. We will also explore devising within community, and Playback Theatre. This is a hands-on exploration and application course. Buddhism and cognitive sciences are brought together to examine: nature of mind and self; meaning of life; and role of culture in religion and science. With Honors content. Analysis of factors which affect power relations among nations, including area, location, political styles, ethnic divisions, and the politics of energy. This interdisciplinary seminar provides ample opportunity to investigate the world of 21st century publishing in the field that most interests you: science, memoir, medicine, finance, advocacy journalism, blogging, environment, humor, engineering, education. You choose your area of concentration. Your investigation will serve as the foundation for developing an understanding of how writers in that field build their reputation and for selecting a target publication for your own writing. Preparing your ideas for publication will include the strategic selection of genre, research tools, developing a rhetorical stance and style appropriate to the publication, and learning the craft of query letter writing to market your idea. 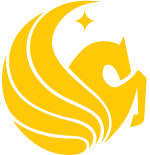 The online Class Schedule is the university's official course listing and is constantly updated in real time as students add and drop classes to their schedules via myUCF. You can find Honors courses within the Class Schedule by selecting "Honors Courses" in Special Course Groups. New Honors students (incoming freshmen and transfer students) register for Honors courses during a UCF orientation session before their first semester of enrollment. Current Honors students have registration appointment times assigned starting the first day of registration and may register for up to 3 semesters at a time. You may register for both Honors and non-Honors courses at any time during or after your appointment time. It's in your best interest to register as soon as possible once your appointment time allows you to via myUCF, since Honors courses fill up quickly. Before you register, verify your appointment time via myUCF. If it isn’t scheduled during the first few days of registration, immediately contact Rex Roberts, Director of Advising. Also be sure to meet any mandatory advising appointments and/or clear any holds on your account. Check myUCF to see if this applies to you. Some interdisciplinary seminars are listed under two separate course numbers and prefixes that correspond to the two disciplines associated with the course. For example, Documentary Film Production is listed as both AMH 3930H and FIL 3930H in the Class Schedule, and each one has its own class number. Either one of these class numbers will enroll you in the course, but choose only one when registering and select the course subject most appropriate to your major/minor. Be mindful that we frequently offer seminars from the same subject area, meaning those seminars will have the same subject prefix and catalog number. For example, two different literature seminars may both be listed as LIT 3930H. Please contact Rex Roberts, Director of Advising, with any questions regarding overrides into Honors courses.